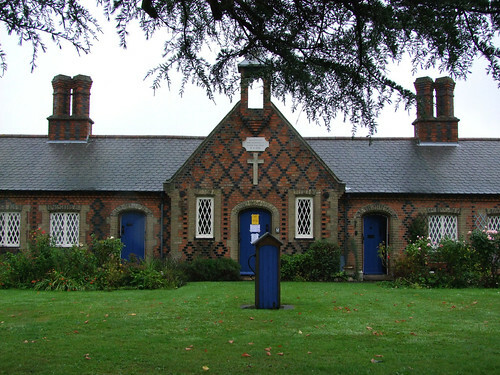 Originally a medieval foundation in the grounds of Ingatestone Hall, the almshouses were relocated in 1840 when the original site was demolished for the London to Colchester railway. The almshouses fell into disrepair in the 1970s, and were taken over by the Catholic Diocese of Brentwood. The original chapel at the centre of the three sided buildings has been refitted for Catholic worship of a rather traditional kind, although, as the nice nun explained to me, it was originally a Catholic foundation anyway, as the almshouses were founded before the Reformation.